There’s no question that Amazon is the dominant e-commerce destination for many U.S. consumers. The internet giant is predicted to capture 49.1 percent of all U.S. e-commerce sales this year. Additionally, Amazon now represents 5 percent of all retail sales on- and offline in the United States, according to eMarketer. Simply put, the question for most CPG brands is not whether they should have an Amazon presence, but rather what level of presence they need to grow their brand. Legacy CPG brands are currently struggling to stay relevant against an onslaught of emerging competitors. The sooner they start building an Amazon strategy, the better they will be able to compete with more agile, digitally-native challengers, and the easier it will be for them to stay in step with what Amazon will look like tomorrow. Additionally, the reality is that these new competitors are already selling on Amazon. How does a legacy brand make sure it is part of the Amazon customer consideration set? If it’s not, its competitors are eating up Amazon customer demand to the tune of more than 310 million active customers and over $177 billion in sales annually. Here are four reasons every CPG brand needs a dedicated Amazon marketing strategy. Amazon is a top search destination. Amazon is not only the country’s undeniable e-commerce leader, but it is also a top search engine and critical channel for product and brand discovery. According to a consumer survey from research firm Survata, 49 percent of shoppers visit Amazon first when searching for products online. Brands that don’t have a strong presence on Amazon are therefore excluded from the initial product discovery process for nearly half of all online shoppers. CPG marketers need to think about Amazon as a brand’s second website. With newly added marketing tools, listings and brand pages can look seamless compared to the branding on website and social media platforms. These listings and brand pages do more than just help shoppers find and buy your individual products. They also help establish a visible and consistent presence that not only drives sales but also grows awareness and helps the brand stay top of mind. 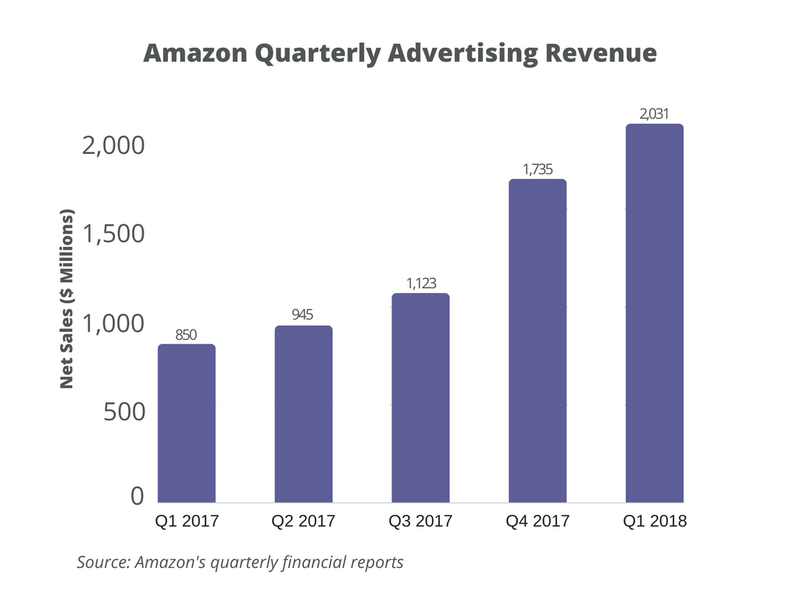 Amazon’s ad revenue is growing fast. 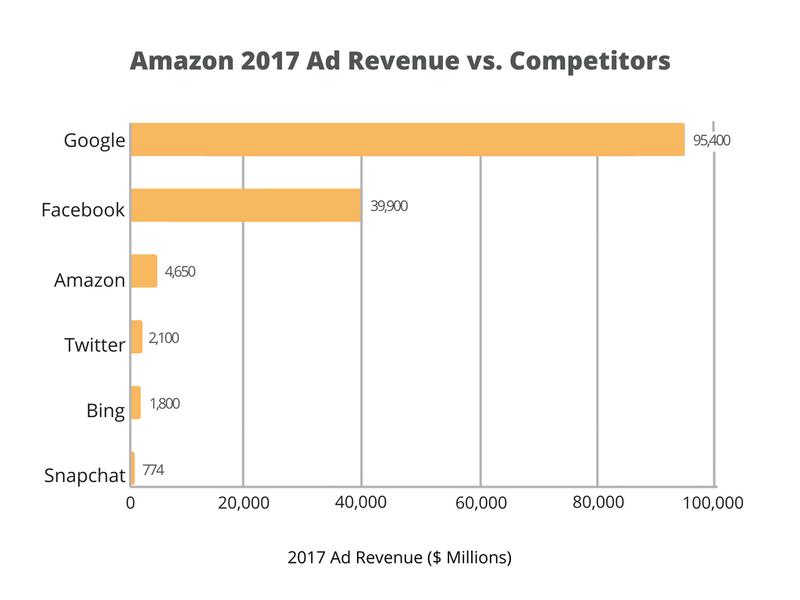 Not only is Amazon one of the top destinations for product search, but it is also one of the fastest-growing advertising platforms in the world. In its recent quarterly earnings report, the company disclosed that its “Other” sales, which “primarily include sales of advertising services,” increased 139 percent, from $850 million in Q1 2017 to just over $2 billion in Q1 2018. In addition to being one of the most popular digital advertising platforms, Amazon is also one of the most trusted. Survata’s survey found that consumers trust Amazon’s ads slightly more than their competitors. Furthermore, approximately 31 percent felt that its ads were better for finding trusted brands. How and where consumers search for products online should have a direct impact on a brand’s digital advertising budget. For any CPG brand that isn’t already selling on Amazon, it is time to evaluate why not. Brands that are selling on Amazon need to rapidly integrate the channel into their digital advertising plans. Amazon Prime is a growing ecosystem. One of the jaw-dropping stats from Jeff Bezos’ most recent annual shareholder letter is the over 100 million+ Amazon Prime members the company now has globally. Prime is most recognized as a free two-day shipping mechanism, but it’s actually a growing ecosystem of valuable offerings that keep users engaged with Amazon. Nicole Perrin, analyst at eMarketer, said that “the Amazon audience is ready to buy, and they buy a lot, and over time they buy more and more frequently…and for Amazon Prime users it’s basically even more so. And the Prime audience itself continues to grow.” Because of Amazon Prime’s growth, CPG brands need to understand how their current and potential customers use the Amazon ecosystem. In doing this, they need to look beyond the obvious. For example, how many customers are consuming content on Twitch (a live streaming video platform owned by Twitch Interactive, a subsidiary of Amazon), and are there opportunities for a partnership? Amazon is dominating voice search. Do you know what the fastest-growing consumer technology is? Digital voice assistants and smart speakers. As of October 2017, Amazon had reportedly sold “tens of millions of Alexa-enabled devices.” This was before Black Friday and the holiday season, and because of that analysts currently estimate that Amazon’s U.S. market share of digital voice assistants is currently between 70 and 76 percent. Why is this so important to CPG brands? The research firm Gartner has predicted that 30 percent of web browsing sessions will be done without a screen by 2020, leaving many buying decisions to digital voice assistants that choose brands from an invisible virtual shelf. This invisible shelf is likely going to further limit brand adoption past top-ranked CPG brands. To combat this shift, brands should create distinct identities to use when consumers can’t see their products, such as offering recipes or developing a unique “voice” or audio signature that makes their brands instantly recognizable.